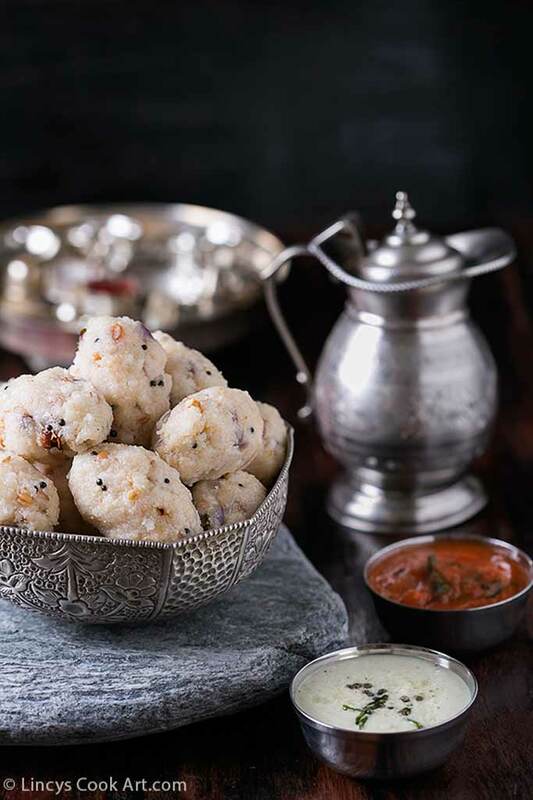 Upma Pidi Kozhukattai| Arisi Upma Pidi Kozhukattai| Rice Rava pidi kozhukattai| Upma Kara Kozhukattai- It is a South Indian breakfast or snack item generally served with tomato kara chutney, coconut chutney or Gotsu. Tasty simple filling dish which is liked by all without any age difference. 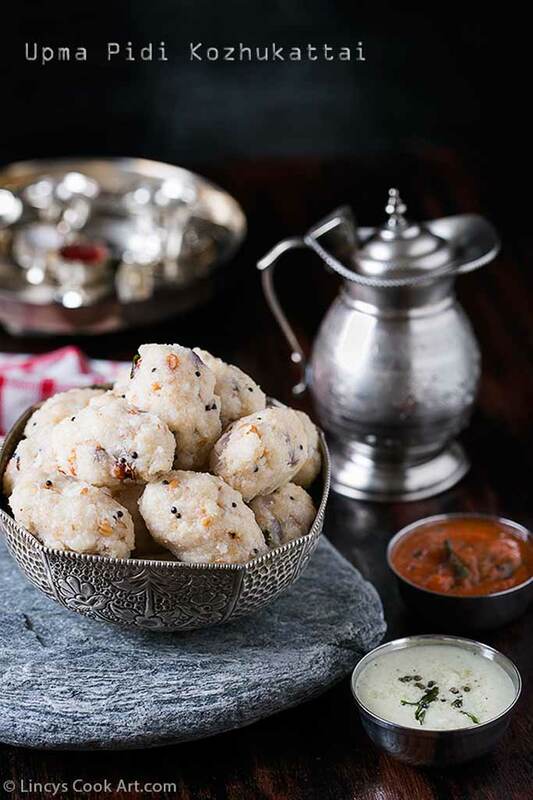 Quick to prepare dish and it does not require any fancy ingredient to make this yummy dumplings. I have prepared this dish and clicked these pictures last year around this time and kept inside the drafts and did not posted it. I think this is the best time to post this dish. Better late than never! In a blender jar add the rice and crush to make like rava texture. You could use the rava you get on top of the strainer while sieving the rice flour too. Heat oil in a pan and splutter the mustard seeds and add the chana dal, curry leaves, red chillies and hing. Once the dal get golden colour add the coconut and stir fru fifteen seconds. Now add the water, salt and allow to boil. Once it reaches rolling hot, add the rice rava in two lots with constant stirring to avoid forming lumps. Once the water fully absorbed the rava starts to become thick. Now switch off the gas and allow the rava to cool. When the mixture is warm grease your hand with little oil and start to make kozhukattai. Pinch some mixture and roll to make a cylindrical dumplings. 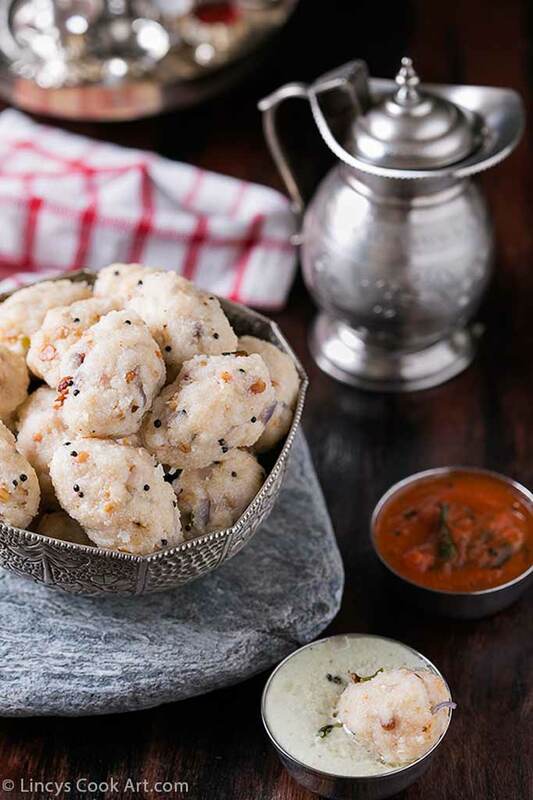 Heat water in idli steamer and cook the dumplings for 10 minutes.